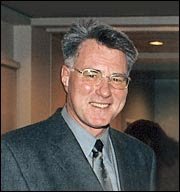 To call Eric Sprott a bear, would be a disservice to bears - he is at whatever the next level above bears is. Sprott is a very successful hedge fund manager from Canada, who runs some $4 billion, and returned roughly 500% in the past decade - so he definitely has the investment kudos to back himself up. He, much like I have proposed in countless posts, surmises much of what is going on is simply the biggest Ponzi scheme ever engineered. As we saw with Bernie Madoff - even if true - a Ponzi can last for decades. And we've never had one sponsored by an entity who does not really require outside investors to keep the charade going, but can print money endlessly (or let banks borrow at nearly free to buy US Treasuries). So unlike most Ponzi's, which are exposed when at some point when not enough new money comes in to cover outflows (as is the very obvious case when looking at US finances) - the US version is one that only ends when faith in the government / central bank is lost. Hence, I expect the balls to be juggled for quite a long time as the current hero worship of the Fed is akin to Greenspan era a decade ago. On a related note - the AP reports four times as many Ponzi's collapsed in 2009 as in 2008, for reasons we listed above. Tens of thousands of investors, some of them losing their life's savings, watched more than $16.5 billion disappear like smoke in 2009, according to an Associated Press analysis of scams in all 50 states. (keep in mind, Madoff's massive scam of $50B happened in 2008) In all, more than 150 Ponzi schemes collapsed in 2009, compared to about 40 in 2008. The Standard & Poor’s 500 Index will collapse below its March lows as an expected rebound in economic growth fails to materialize, according to hedge fund manager Eric Sprott. The Toronto-based money manager, whose Sprott Hedge Fund returned about 496 percent in the past nine years as the S&P 500 lost 32 percent in Canadian dollar terms, said the index’s 66 percent rally since March 9 reflects investors misinterpreting economic data. He’s predicting the gauge will fall 40 percent to below 676.53, the 12-year low reached on March 9. “We’re in a bear market that will last 15 or 20 years, and we’ve had nine of them,” Sprott, chief executive officer of Sprott Asset Management LP, which oversees C$4.3 billion ($4.09 billion), said in an interview Dec. 18. Should the Fed renew the programs while the U.S. government continues to run record deficits, investors will lose faith in the U.S. currency, he said. Again, as we've stressed many times, having the world's reserve currency is such an enormous advantage - it has allowed us to do things that no other country would dare to do - or be allowed to get away with. But currency is all about faith. “If they announce another quantitative easing, trust me, the gold price will go up another 50 bucks that day,” he said. Sprott has been bullish in gold and gold stocks, which are used as a hedge against inflation, since at least 2001, when the precious metal was trading below $300 an ounce. Sprott said gold is the only asset about which he remains positive in the short term. His C$1.42 billion Sprott Canadian Equity Fund -- which is up 23 percent in five months -- has 34 percent of its portfolio in mining stocks and another 39 percent in bullion as of Nov. 30. At the end of the day, flushing more debt through the system is the only lever policy-makers know how to pull. Lower interest rates, quantitative easing, deficit spending, it’s all the same. It’s all borrowing against future income. Each time we bump up against recession, we borrow a bit more to keep the economy going. With garden variety recessions, this can work. Everyone wants the good times to continue, so no one demands debts be paid back. Creditors accept more IOUs and economic “growth” continues apace. If it sounds like Bernie Madoff’s Ponzi scheme, that’s because it is. Each time Bernie’s scam got a few too many investor withdrawals, he’d simply plug the hole by raising more investor cash. The guys at Fairfield Greenwich were making so much in fees, they were happy to funnel more his way. But at a certain point, Ponzis get too big. There simply aren’t enough new investors to pay off older ones. In the aggregate, the same is true for Western economies. Their debt loads are now so huge, they are simply unpayable. Naturally, policy-makers sound just like Ponzi-schemers: Just give us a little more cash to get us through this rough patch and everything will be copacetic. Ben Bernkanke at the National Press Club alluded to the famous quote by St. Augustine: “Oh Lord, give me chastity, but do not give it yet.” President Obama convened his “fiscal responsibility” summit days after passing the stimulus bill and days before proposing huge increases in health care spending. Bernanke says he’ll stop printing money to absorb debts, and he may for a time. But the American Ponzi has grown so large, the private credit system is, IMHO, no longer capable of generating sufficient debt finance to keep it going. So to avoid a debt deflationary depression the Fed will have to rev up its printing press again. Japan has been wrestling with its own Ponzi collapse for 20 years, keeping it at bay with trillions of dollars worth of deficit spending and money printing. Hasn’t worked for them and it won’t work for us. This has little to do with the stock market ot today, because the same "solutions" that will eventually cause massive pain (think "solutions" of 2001-2003, leading to "prosperity" of 2003-2007), can kick the can for a long time. (Japan's been working this angle for 2 decades) For all I know the market rallies for 12 more months, perhaps 36, perhaps 60 on our Alice in Wonderland journey where the real functioning economy need not support our debt obligations - but a few central planners can take care of all our ills. But with many other large countries playing the same game of chicken, I think before the 60 months are up, foreshadowing of the eventual fate of America will be seen in nation's without the advantage of the reserve currency. Too many countries are now following the American game plan, and their chickens shall come home to roost. And so will begin an era of falling dominos that should make 2007-2009 look like a sideshow.